Researchers from Japan have taken a step toward faster and more advanced electronics by developing a a better way to measure and manipulate conductive materials through scanning tunneling microscopy. The team published their results in July in Nano Letters, an American Chemical Society journal. Scientists from the University of Tokyo, Yokohama National University, and the Central Research Laboratory of Hamamatsu Photonics contributed to this paper. Precise manipulation, however, has been a problem—until now. According to Takeda, previous studies in this area assumed that the near and far fields were the same—spatially and temporally. 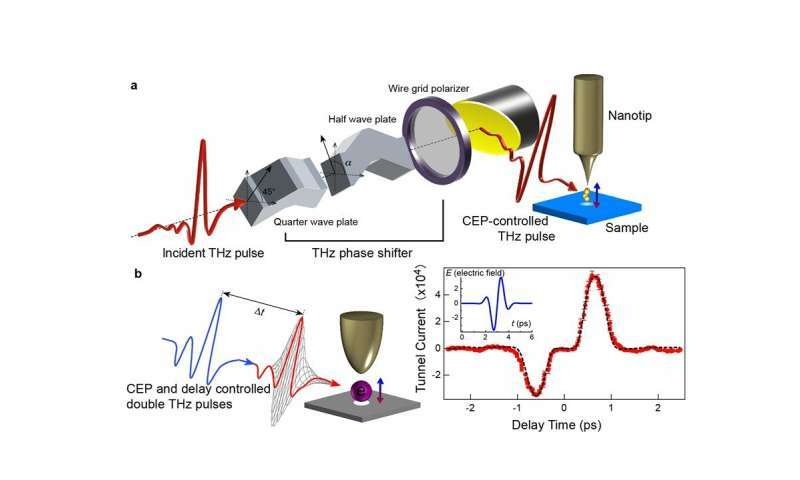 His team examined the fields closely and not only identified that there was a difference between the two, but realized that the pulse of fast laser could prompt the needed phase shift of the terahertz pulse to switch the current to the near field.